Want to get to know the diversity of birds and other wildlife of the Telluride area? Join experts on August 7, from 9:00 am-1:00 pm for the fourth and final FREE Valley Floor Living Classroom session! The Telluride Institute’s Watershed Education Program is hosting this event. It is geared for high school students to adults, but younger children are welcome, if accompanied by a parent. Eric Hynes, a professional birding guide, who conducts birding trips worldwide, and other stellar birding experts, will begin with a bird walk along the east end of the Telluride Valley Floor. Participants will be given a personal birding checklist, which they can keep. Soleil Gaylord, a recent graduate from Telluride High School, is an amazing citizen scientist. She will share her wealth of knowledge about prairie dogs, which she has researched extensively during Pinhead and Valley Floor Living Classroom internships. Sean Streich, an ecology and evolutionary biology graduate student from CU-Boulder, will share about his research work, including analyzing the DNA of colonies of prairie dogs, to identify genetic relatedness, etc. Sean and Soleil are also very knowledgeable about native plants and pollinators, and the crucial role they play in the ecosystem. The Mountain Studies Institute staff has been conducting long-term wildlife monitoring of the Valley Floor for the Town of Telluride. They will be on hand to share about their monitoring of elk, river otters, beavers, and more. They are also recording observations on pika and bighorn sheep populations in the San Juan Mountain region. They will share how scientists are monitoring species to determine their overall populations, patterns of activity, ecology, and the impact on populations from climate change and other factors. This will be a unique opportunity to learn how everyone can make a contribution by doing some citizen science wildlife monitoring of their own. Participants will go away with tools they need to report wildlife sightings on eBird, iNaturalist, and CitSci. If you have a smart phone, bring it! Bring binoculars (extras will be available), water, snacks, rain gear, and wear hiking shoes. 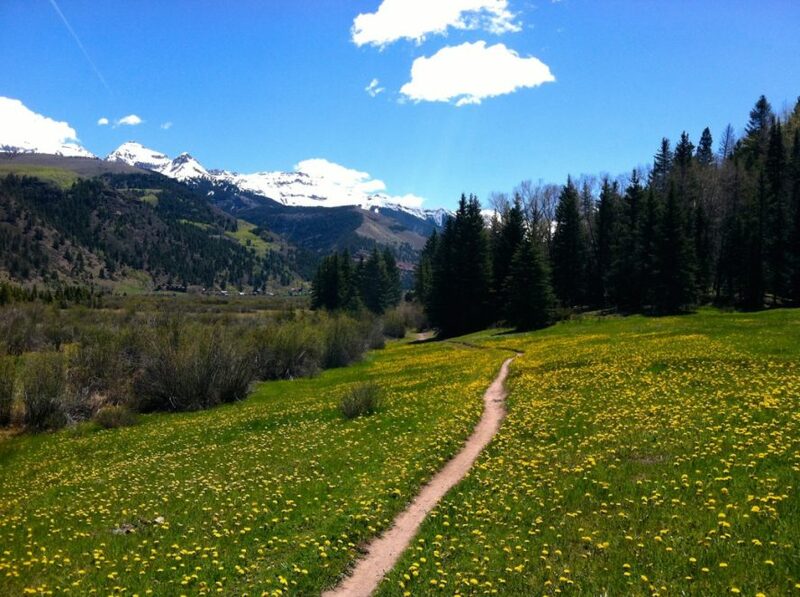 Participants will meet at 9:00 am at the SW corner of the RV parking lot on the east side of the Telluride Valley Floor. After the valley floor hike, those interested in further birding will venture to the town park beaver pond area for more sightings. For more information, and to save a spot, contact Vicki Phelps at 928-600-5926 or vicki@tellurideinstitute.org.